Connect the My Passport Wireless Pro to an AC power source using the supplied USB cable and power adapter. Press and hold the Power button for 3 seconds to power on the device. Wait 30 seconds to ensure the hard drive and Wi-Fi LEDs are illuminated. 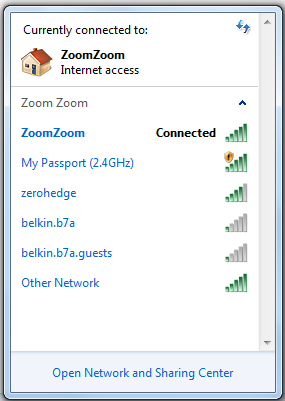 Open Connect to a Network by clicking on the wireless networking icon in the taskbar’s notification area. Select the My Passport wireless signal and connect to it. Both bands, 2.4 and 5 GHz, are enabled by default, although only the 2.4 GHz band may display. 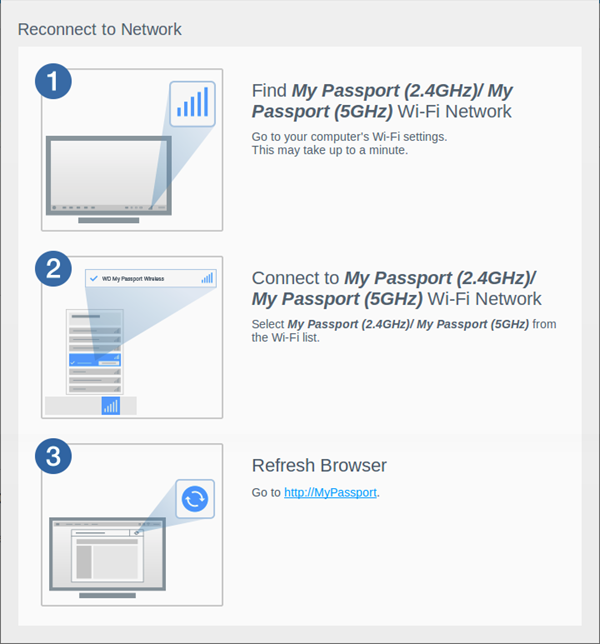 Select the My Passport (5 GHz) band for best Wi-Fi performance. Enter the default Wi-Fi Password. 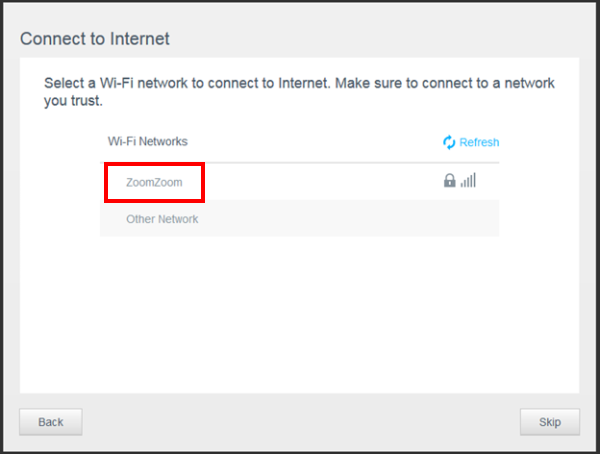 The default Wi-Fi password is unique to each device and can be found on the device itself. Open a web browser and type mypassport or mypassport/UI on the url field, and press Enter. 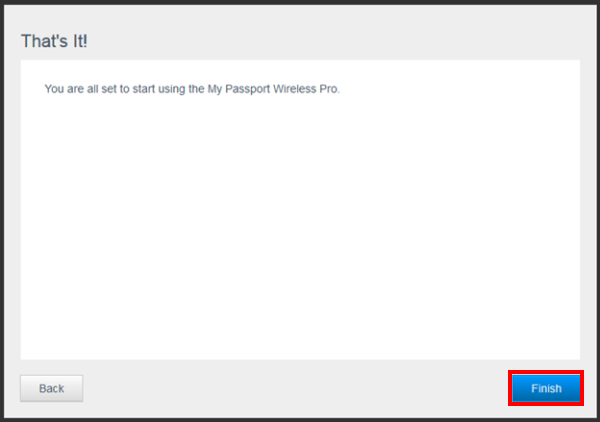 The Dashboard for the My Passport Wireless Pro will now be displayed and the device setup can begin. 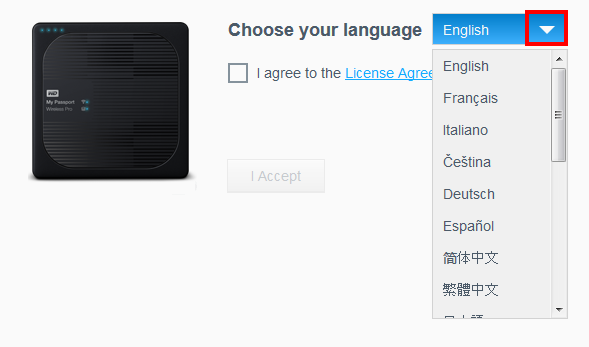 Select the desired language for the Dashboard from the drop-down menu. Read the End-User License Agreement and when ready, check the I agree to the License Agreement check-box and click I Accept. 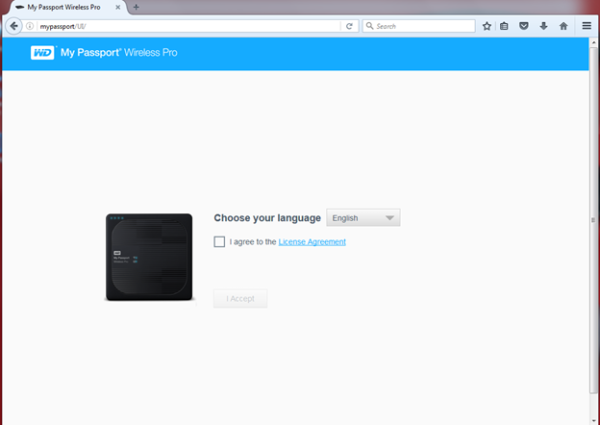 Select a Wi-Fi Network to connect the My Passport Wireless Pro to. 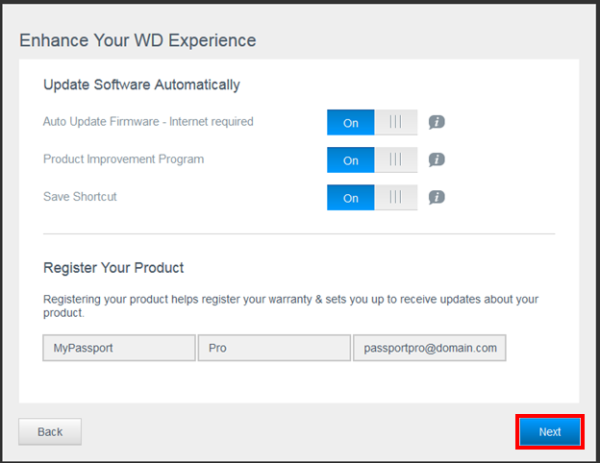 This will ensure that the My Passport Wireless Pro is connected to the Internet, ensuring that the device stays up to date with important firmware updates. 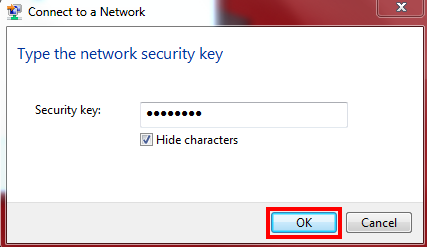 Enter the Wi-Fi password for the selected network and click OK. 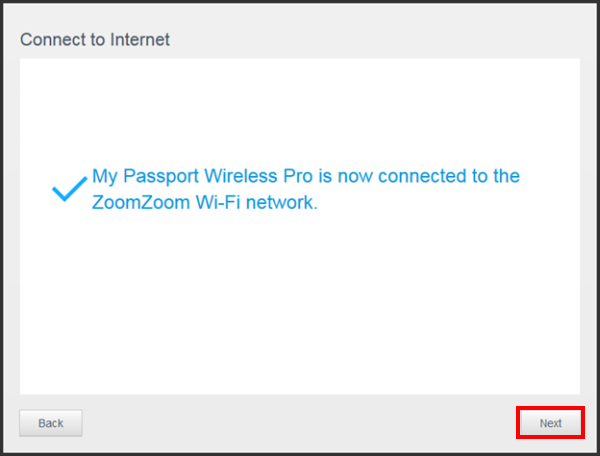 The My Passport Wireless Pro will connect to the selected network. Once connected, click on Next. 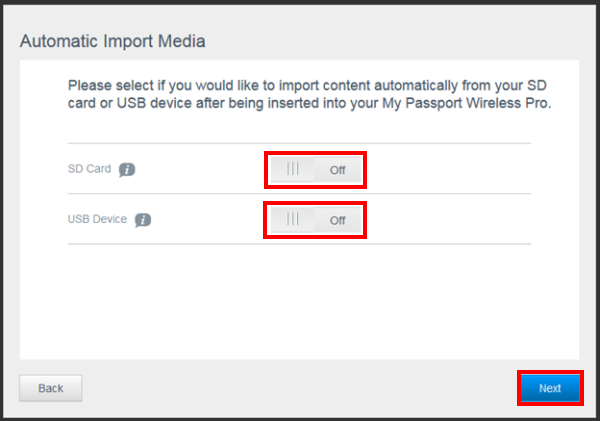 Automatic Import Media allows for media to be imported into the My Passport Wireless Pro automatically when an SD Card or USB device is inserted into the My Passport Wireless Pro. When ready, click Next. My Passport Wireless Pro has Twonky DLNA Media Server installed by default. During initial setup (or after installation), users can install Plex Media Server to use it instead of Twonky. 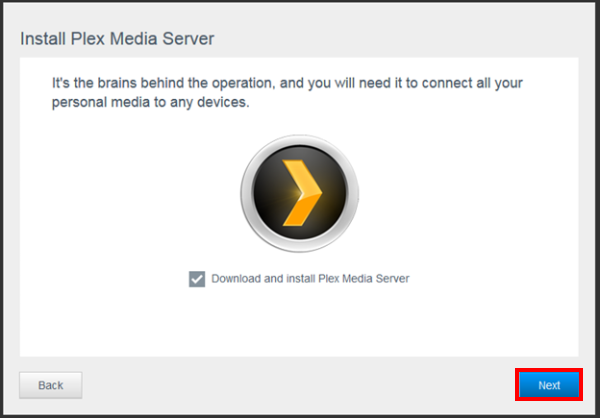 To install Plex, make sure the Download and install Plex Media Server check-box is checked, and click Next. To skip the Plex installation and use Twonky DLNA Media Server, click on Next without checking the check-box and continue with the setup process. 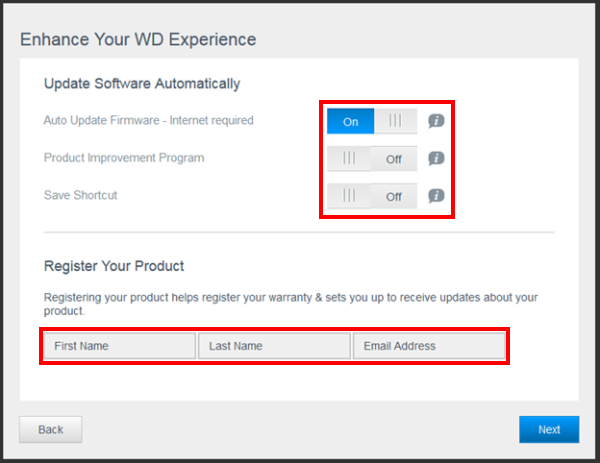 We highly reccomend turning on all the options below and registering the product. Click Next. That's It! Setup for the My Passport Wireless Pro is complete. Click Finish. 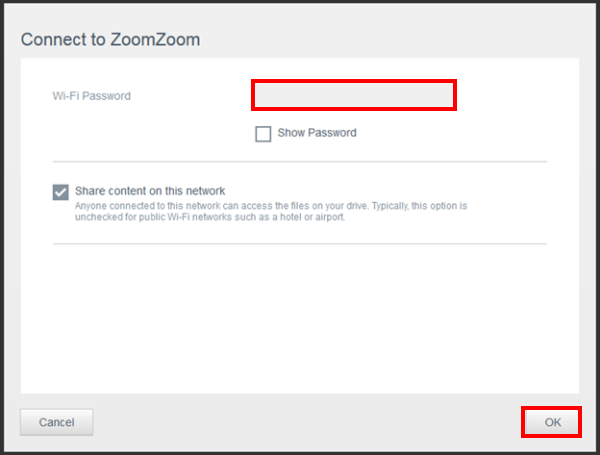 Reconnecting to the network may be required if the Network Access Point has been changed. If installation of the Plex Media Server was selected earlier in the setup process, Plex will now download and install. 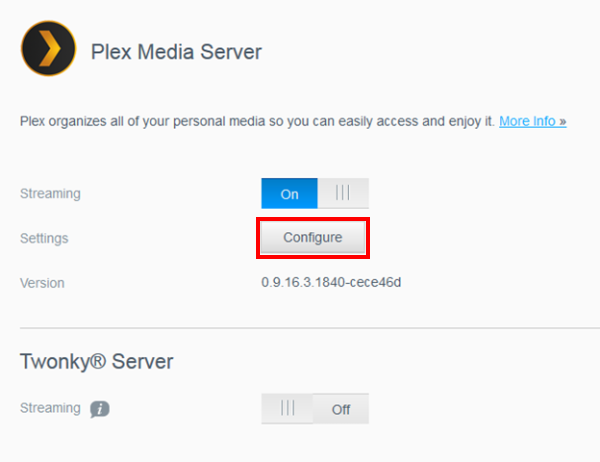 When Plex installation is completed, select the Media tab in the navigation bar to view and access the Web Server for Plex by clicking Configure. It may take a few moments for Plex Web Server to show. Please wait or refresh the web browser.